We are your local pet fencing company in Sioux Falls, South Dakota. Doody’s Dog Fence provides professional install and service of Pet Stop® invisible dog fences. We homeowners through the entire process. 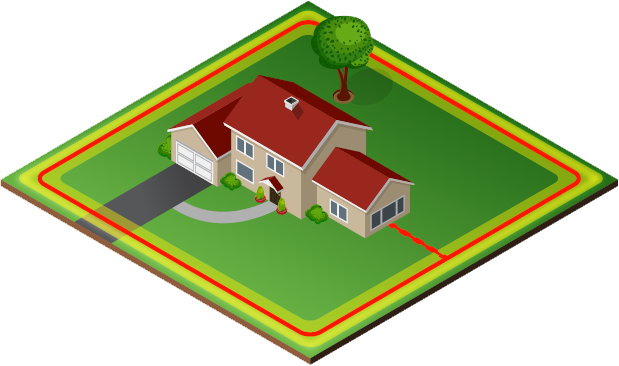 Choose the right underground system for your home and pets. We can help with training your animal friends to acclimate them to the new boundary. Contact us for more information! Our outdoor underground fencing installations will keep your pet safely within your property lines and much more. These solutions can also be designed to keep your pets out of your garden, pool, landscaping, or any other off-limit areas! Doody’s Dog Fence systems have indoor benefits as well. Most pet owners want indoor boundaries too! Our technology can keep your cat off the kitchen counter. It can prevent the dog from getting into the litter box. Talk with us about behavior issues you may be having, we can help! Proper fence training ensures your pet knows where they can and cannot go. 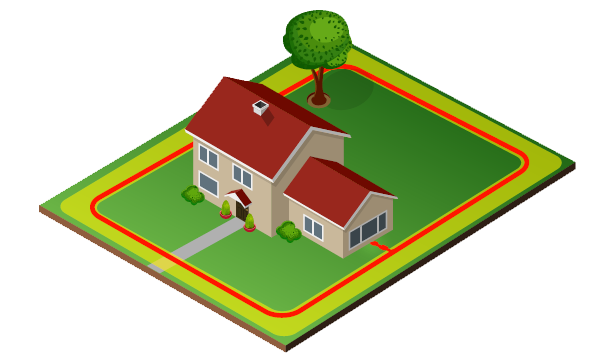 It might be the most important part of owning and operating an electronic dog fence. We use a pet-friendly training technique called GentleSteps™ that is low-stress. Pets learn faster – and they are much happier with GentleSteps™ too. Every yard is different, which is why we customize each pet fence boundary. For homeowners who take pride in their yard and love their pets, we create boundaries around flower beds, ponds, pools, streams, lakes, and other landscaping features. Below are some of the most popular underground pet fencing configurations and layouts. The full perimeter loop is our most common layout install. This enables your pet to have access to your entire yard, but not leave it. If you are looking for a contractor to recommend and install your system, contact us today. The Full Perimeter loop is another common layout contractors recommend. This underground fencing system has a “pinch” in the middle. This setup contains your dog in either the back yard or front yard. Your dog can join the rest of the family anywhere outdoors! 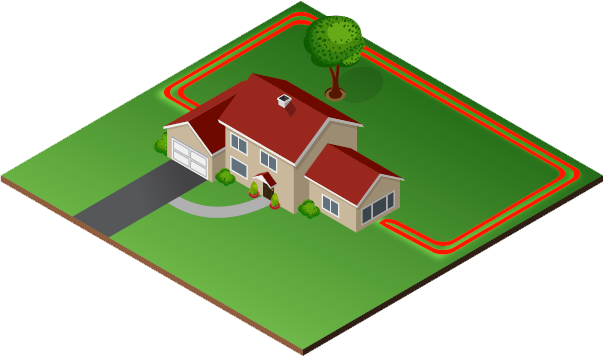 The Double Loop is often used when the geography of your property does not allow for installation around the whole property. This layout is used to contain only the front or back yard. Small yards are no problem at all for Pet Stop technology from Doody’s Dog Fence. These boundary fences maximize the amount of yard your pet can enjoy with settings to create a one-sided signal zone around the perimeter wire. Doody’s Dog Fence is dedicated to providing you with ongoing outstanding customer support long after your initial pet fence system has been installed. We can answer any concerns or questions you have. We can also handle any maintenance or troubleshooting on your electronic pet fencing system. Please contact us – we’d be happy to help in any way we can.